Far too many people believe the full measure of a coach and his or her worth to a program is solely based on wins and losses. If that were the case, former New York Yankees manager Joe Torre would have won 10 or more Coach of the Year trophies during his time in the Bronx. It isn’t just the wins, it’s just as much what a coach and leader does with the talent they possess or in some cases, the talent they do not possess that is a much better indicator as to how much they have achieved and impacted their program. The Minutemen were so deep and stacked with talent that anything less than a CIF championship would have been considered a ‘failure,’ according to the MHS coaches and players. As easy as that is to say, it’s so incredibly difficult to go five consecutive playoff games with a pitch-count limit in place and without allowing a single slipup along the way to a title. If you don’t believe that to be the case, just ask the top seed from Division 1, Harvard-Westlake, who exited in the first round to a team that entered the playoffs two games under the .500 mark. And consider another thing, only two of the seven top seeds in the CIF-SS playoffs ended up winning championships. They were Maranatha and Poly, both Pasadena schools. Then, take La Salle’s scenario. 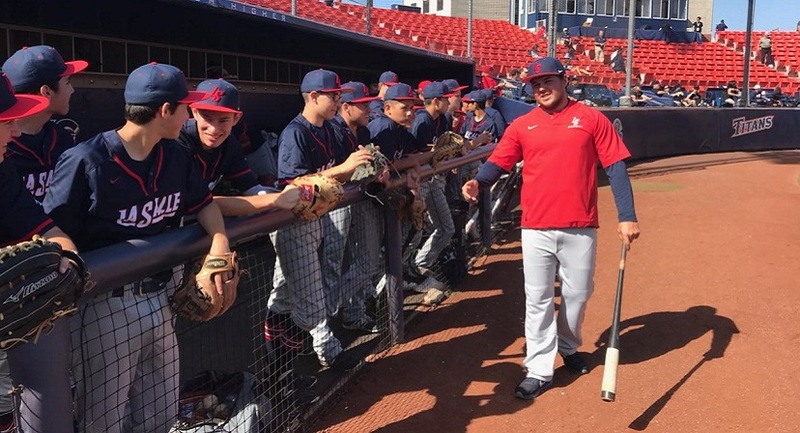 The administration had parted ways with a popular baseball coach shortly after the 2017 season had ended. They hired a new skipper, and while he was a proven winner as a player, this was going to be his first head coaching gig. 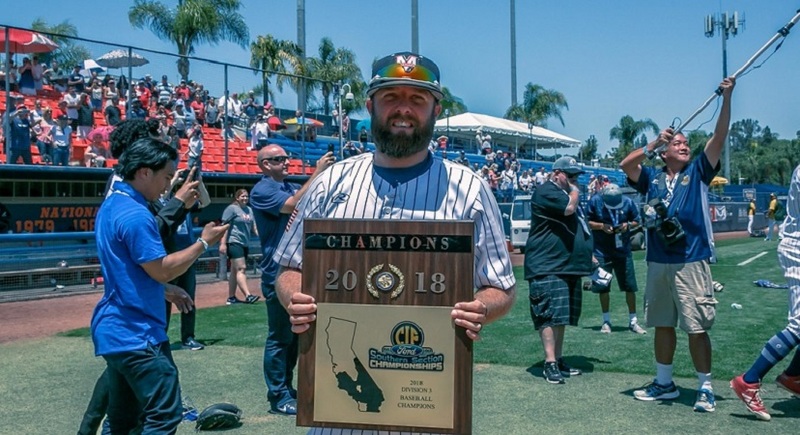 Both the Maranatha and La Salle coaches got the most out of their talent, which concluded in a head-to-head match up in the CIF-SS Division 3 title game at Cal State Fullerton last Saturday. Despite taking different paths to that championship game showdown, and regardless of one team winning nine more games than the other, including the championship, both men did a remarkable job based on the talent and situations that surrounded their programs. 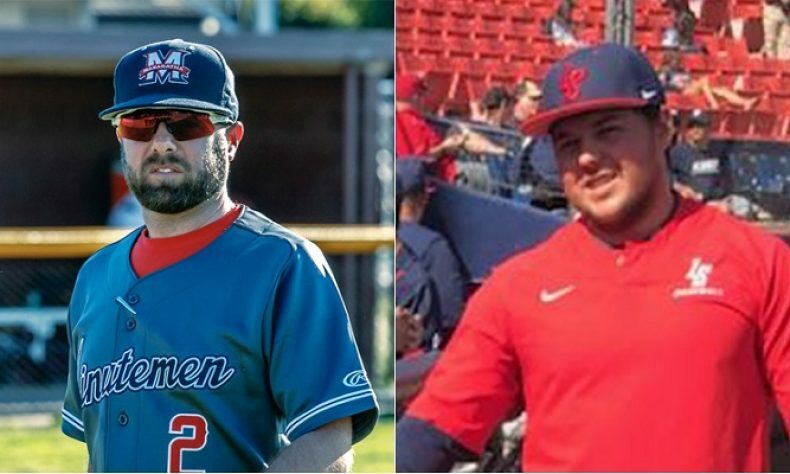 For that success, La Salle’s Eddie McKiernan and Maranatha’s Matt Shupper have been named the 2018 Pasadena Sports Now Baseball Coaches of the Year. But before going into the tremendous season and jobs that both McKiernan and Shupper did, it’s very important to mention two other men and recognize them for the amazing work they did over the 2018 season. The first is Mack Paciorek, who came over from San Marino and led Poly to a Prep League and CIF-SS Division 6 championship. Paciorek guided the Panthers in his first season to a 27-3 mark, and they were ranked No. 1 in CIF (D6) for most of the year. The second being Adonis Harrison, and the incredible job he did in his first year at his alma mater. Harrison, 41, led Muir to the playoffs for the first time since 1987 and they won CIF-SS Division 5 postseason games over Twentynine Palms and Rancho Christian, after finishing behind Crescenta Valley and Arcadia in the Pacific League, and going 9-5. Eddie McKiernan, 29, is a former local star in his prep days, where he led Monrovia to a pair of championship game appearances as a player. His Wildcats defeated St. Bonaventure, 3-1, in 2006, and a year later, Monrovia dropped a 7-5 decision to a Bishop Amat team that had no business being in Division 5. McKiernan spent years playing pro ball and then began his coaching career as an assistant at his alma mater, and when the La Salle job became available, he got his first opportunity to lead a program of his own. With a roster full of players irate over their former coach’s dismissal, McKiernan handled the situation beautifully. And while he knew many of the La Salle players from his coaching days away from high school ball, it still took time and an approach to win over his players. McKiernan, as his players described, listened to their concerns, discussed their goals, both collectively and individually, and moved forward as a program, and that’s when he truly became their coach. He was all about making them the best player and team that they could be. McKiernan took a more laid back approach and La Salle won their first five games of 2018, and in the first seven victories, the Lancers won three via extra innings. They went on to lose five of six, and then dropped a pair of one-run games in Del Rey League play to a St. Paul team that couldn’t match La Salle’s talent. 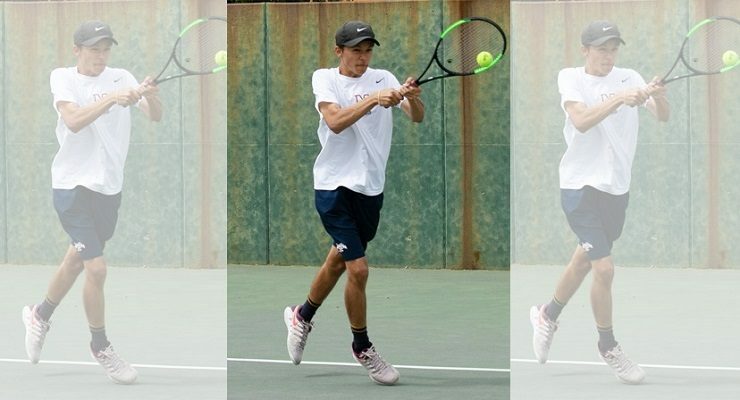 The pair of setbacks to the Swordsmen dropped La Salle from second to third place, and with first place and undefeated (in league) Bishop Amat coming to town for two games, a berth in the CIF playoffs was certainly in doubt. But the coaches and players had a heart to heart meeting about being in this for each other and not being selfish, and the Lancers went on to sweep both Amat and Cathedral to enter the playoffs on a solid note. 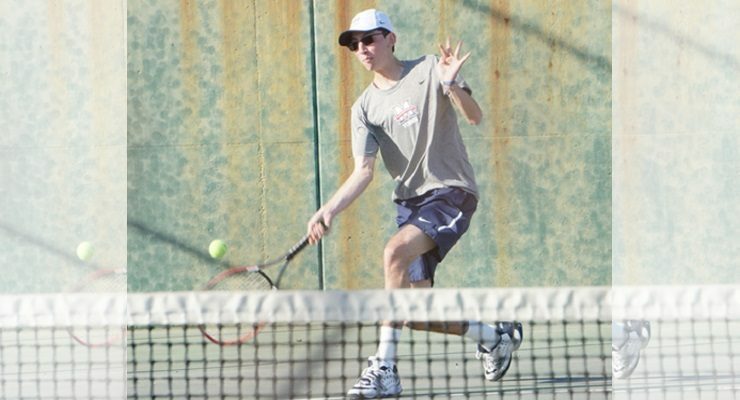 The climb was still very much uphill, though, as they began the CIF Division 3 playoffs unseeded and unraked and with a first-round game at Charter Oak, and against a Chargers team that had shut out Maranatha early in the season. 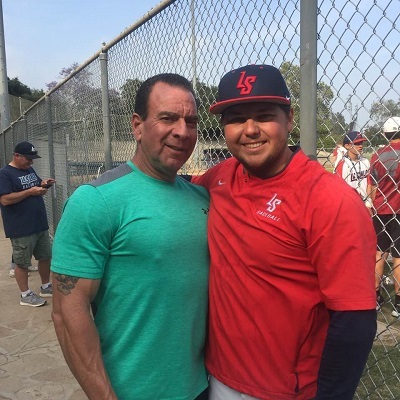 The genesis of this magical playoff run for the Lancers began early when senior catcher Brennen Mace hit a three-run bomb in the first inning of the playoff opener at Charter Oak and La Salle never looked back. 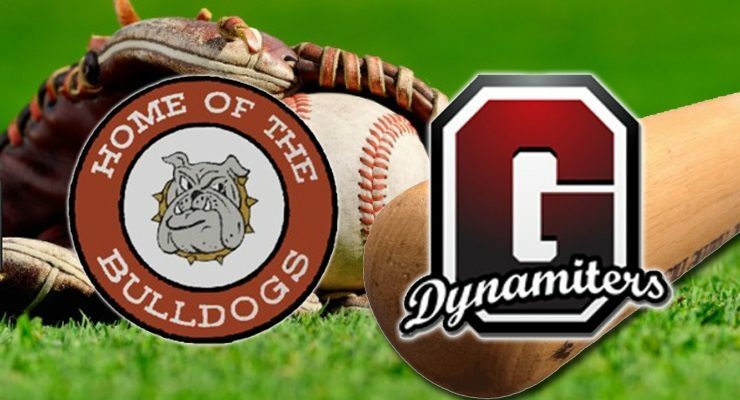 Zane Lindeman earned complete game road victories over Charter Oak and Temescal Canyon, and Landon Smith twirled a two-hit shutout over a Temecula Valley program that entered their match up with 26 wins. The most memorable game was a semifinal showdown with Long Beach Wilson, where La Salle trailed the Bruins 2-0 with two on and two out in the bottom of the fifth inning and their stud Ethan Patrick at the plate. Patrick singled to right sharply, but when the Wilson right fielder allowed the ball to go under his glove and to the wall, both runners already on base scored and then Patrick sprinted 360 feet and slid head first under the tag at the plate for what turned out to be the game winner. Jeff Daley had just come out of the bullpen to replace Landon Smith and he shut down Wilson the rest of the way to earn that unexpected (to many) championship game invitation. 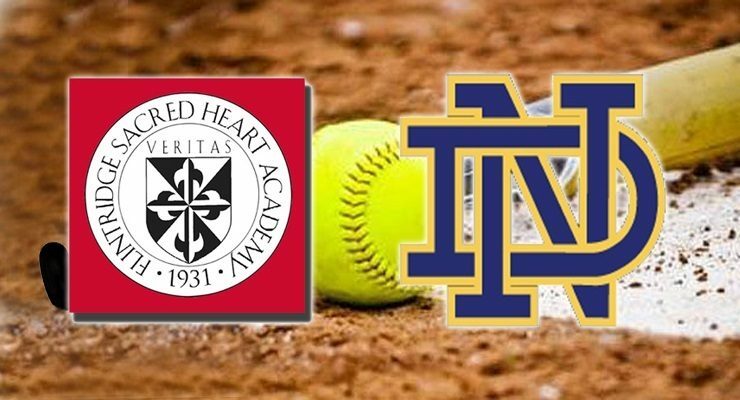 And while they faced off with a top-seeded Maranatha program that 1-to-9 was superior at Cal State Fullerton, La Salle took a 2-0 lead into the fourth inning. MHS, though, scored four runs in the fourth and Dawson Netz came on to close out the championship. But the composure, the fight, the perseverance and the spirit La Salle showed was a reflection of their first-year coach and his staff. McKiernan knew he entered most games this season as the clear underdog, because they had just two guys (Patrick and Mace) hitting over the .340 mark, and had to rely so heavily on Lindeman, Smith and Daley on the mound. Considering what his team was and was not, McKiernan and his staff and program worked diligently to be the best defensive team they could be, as well as playing small ball to make the most out of the least. In just one season, and in a year that many wrote them off midway through the season, this 29-year old leader guided a program of underdogs all the way to this sport’s biggest game. McKiernan, with the help of his staff (Josh Schmidt, Ben Gass, Jaime Guzman and Chuck Alessi) slowly but surely not only earned his players respect, more importantly, he earned their trust. Said McKiernan: “We had that heart-to-heart talk about life and coming together as a team. Our practices were great and we swept Amat and Cathedral and got our confidence back. We played as a team and weren’t being selfish. Shupper, 37, was coming off a season (2017) where many, including his players and staff felt they finished well shy of expectations, which ended with a loss to Victor Valley in the CIF-SS Division 3 quarterfinals, and against a team that really couldn’t match the MHS skill set. 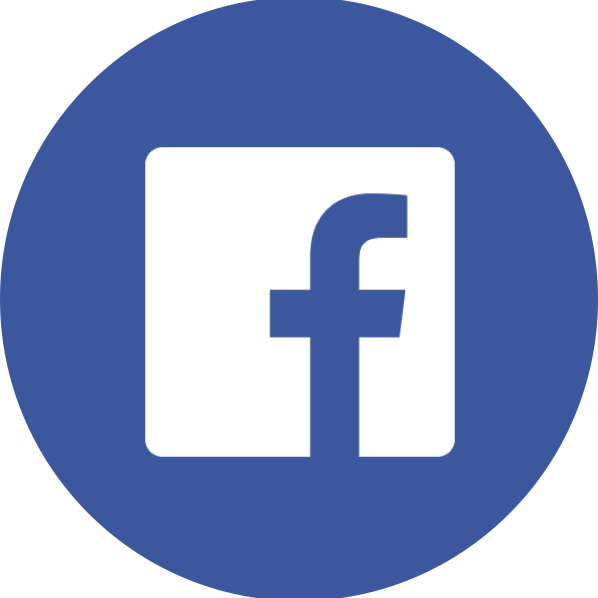 A couple weeks prior, they also blew a chance to win the Olympic League championship after dropping a pair of games in the final week of the regular season to their arch rivals and eventual champions from Village Christian. So, after a 3-2 start to 2018, which included losses to Charter Oak and Chino Hills, were those of us in the media and at the school completely blowing out of proportion how good this Minutemen team was or at least could be? 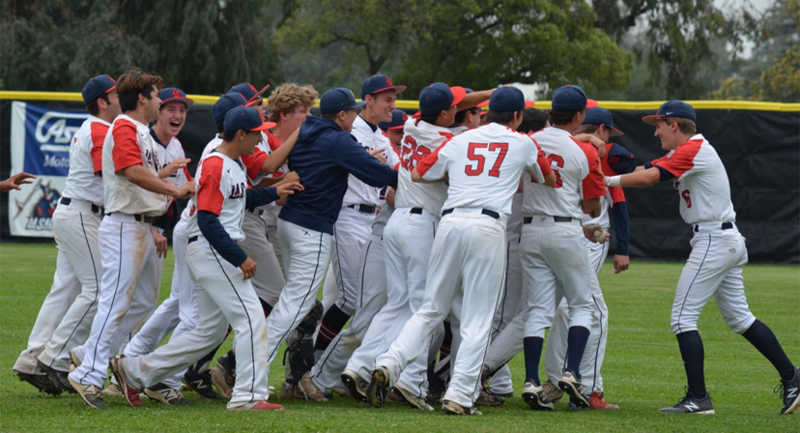 Two months or so later, Maranatha’s baseball program was about 20 steps ahead of “fine,” they were the best team in the area and the division. You may ask: if he has talent for days, which included guys on the bench that could star for other programs, what made Shupper’s job in 2018 stand out enough for this honor, and for the second year in a row? Fair question, but let me explain. Maranatha didn’t just win back the Olympic League title from their obnoxious rivals from Sun Valley, they went 12-0 along the way and brought the trophy back to Pasadena. 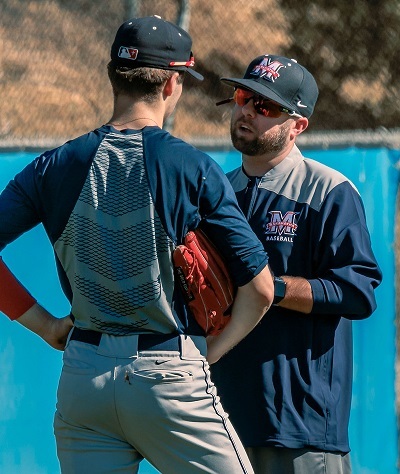 MHS had great pitching, obviously, which is led by one of the best pitcher’s (Dawson Netz, 12-0, 0.26 ERA) this writer has seen in 19 years on the job, and that includes Division 1 programs in Long Beach, Orange Country, the San Gabriel Valley and the Inland Empire. Going 12-0 in league with that pitching was kind of expected, right? It might have been, but seeing their pitching staff win eight consecutive games via shutout, including two no-hitters was not. Netz himself set a new CIF record by going 59 consecutive innings without allowing a single run. The next question you might ask is with hitters like Max Blessinger (.495, 52 hits) and Marco Martinez (.405, 32 hits) just to name a few, the Minutemen should win eight out of every 10 games they play, right? 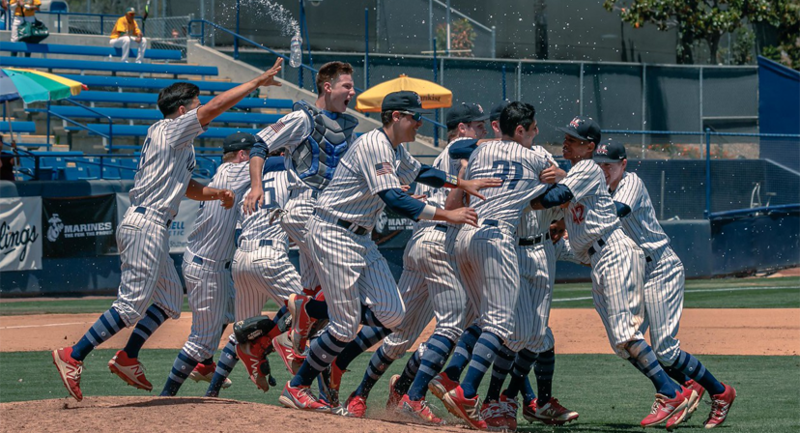 MHS finished the season on a 20-game win streak, culminating with the 4-2 victory over La Salle at Cal State Fullerton last Saturday morning in the CIF-SS Division 3 title game. It was his first title in seven years at the helm, and it’s highly unlikely it will be his last. 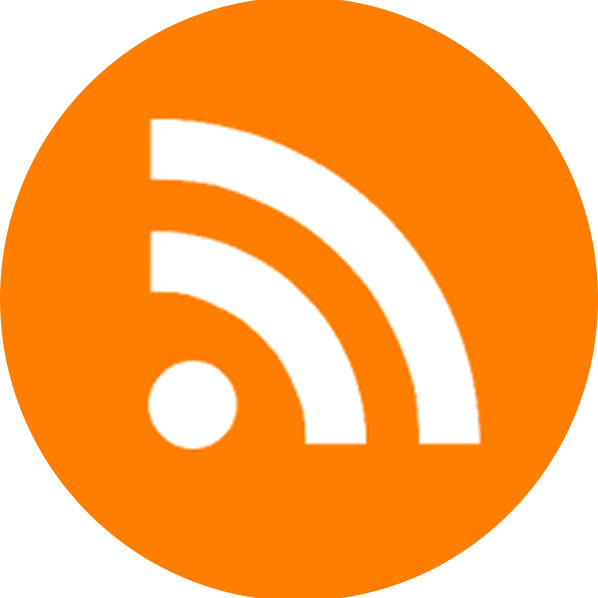 Among coaches of the three major sports (football, basketball and baseball) the turnover rate when a better or more enticing job comes along is pretty high. For Shupper, though, his job at 169 South St. John Avenue in Pasadena is his Duke basketball or Alabama football or New England Patriots NFL job, and he hopes to stay there for 30 more years, God willing. Over the past two years, with this core of players, Maranatha has won 49 games, and with the return of Blessinger, Netz, Popham, Downing, Brock Vradenburg, Nick Iverson, Ethan Firestone, Luke Watson and so many others, look for those boys from MHS to continue their excellence and yet at the same time, always looking to up their game in every way possible. Shupper’s assistants, Mark and Tim Jebbia, Al Quintana and Drew Nance are brothers to him, and without their help, this crazy ride to the top would have not been possible. And with a team with so many stars, you’d think Shupper would gush about Dawson and Max and Marco and so on, but when asked about people and things he’ll remember most about this season, it was guys like Jade Low and Jacob Moreno and Cam Slessor, who didn’t necessarily get headlines, but they gave of themselves to make MHS who and what they are today, and that is CIF-Southern Section Division 3 champions. Said Shupper: “Those guys (Slessor, Moreno, Low) are guys I can’t stop thinking about, because they made this all possible, and as far as my coaches go, these are people I love and love to be around, and we work together on something we love and for those players and the school we love.